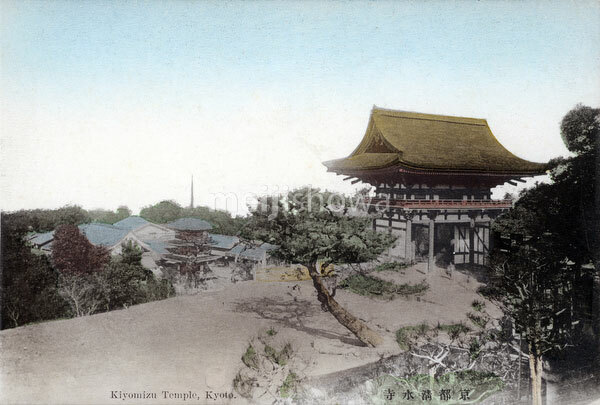 The West Gate and the three-tiered Koyasu Pagoda of Kiyomizudera Temple, Kyoto. The West Gate was built in 1631. It features a kirizuma structure with hiwada roof. The photographer shot this from the side of the main temple, looking towards Kyoto.